Readers of this site are, we hope, on UNIDIR’s circulation list for the Institute’s Newsletter, a monthly update that advises of upcoming events and recent publications. If you would like to receive this handy update, please enter your email details at UNIDIRNewsletter. UNIDIR recently published a background paper on the 2016 Open-ended Working Group (OEWG). 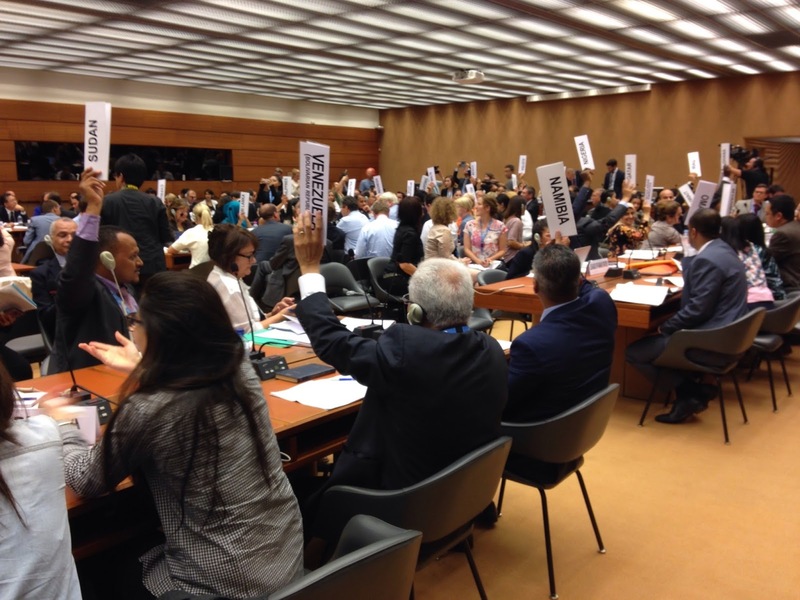 The paper was launched at a side-event during the 71st United Nations General Assembly. The event was organised by Thailand, co-sponsored by Indonesia, Malaysia, THE Philippines and Vietnam, with assistance from UNIDIR. The proceedings of that event, including comments made by UNIDIR, will shortly be posted on UNIDIR’s website. I am grateful to Norway—a longstanding, valued supporter of UNIDIR—for inviting me to participate on this panel. It is also a pleasure to have this early opportunity to draw attention to a paper on verification published very recently by UNIDIR. This publication is the result of a project funded by the Government of New Zealand, and can be found on UNIDIR’s website www.unidir.org. Possible measures and processes for making progress on nuclear disarmament are receiving increasing attention in multilateral diplomacy, notably in the 2016 Open-ended Working Group and in the current session of the UN General Assembly. Irrespective of how nuclear disarmament progress is made—and there are many views about that—one thing is universally recognised. It is that along the path to eliminating nuclear weapons, possessors and non-possessors of those armaments will have to develop and agree on various means of verifying the destruction of nuclear armaments and prohibiting future existence of them and the fissile material that they contain. The rationale for UNIDIR’s latest project on verification had two strands. The first, as just mentioned, is that no matter by what process states decide to take nuclear disarmament forward, mechanisms will at some point be required to verify the destruction of nuclear armaments and their components. It goes without saying that nuclear-armed states cannot simply be dispossessed of their nuclear armaments against their will. However committed they may become to a world without nuclear armaments, their views will be integral to the success of negotiations on how to eliminate their arsenals, and they will have to consent to the outcome. Second, the inevitable need in due course for verification mechanisms for nuclear weapon elimination is widely appreciated. It is also broadly understood that negotiating those mechanisms is likely to be complex and militarily and politically sensitive. The problems surrounding the launch of negotiations just to ban fissile material production bears witness to that. In these circumstances, we believed that there was scope to carry out a survey of verification experience, precedents and tools on which the international community will be able to draw for taking that particular element of nuclear disarmament forward. The objective of this survey is to provide a general overview of past and present verification activities and proposals relevant to the elimination of nuclear weapons. We have looked beyond the current debate on nuclear disarmament towards the development of the mechanisms required to provide assurances that a nuclear-weapon-free world could be achieved and maintained. Reaching these objectives will be challenging, but, as our paper shows, feasible. I refer to chapter 4 of the paper in this regard. And incidentally, the paper mentions pre-negotiation confidence-building work such as that of the Group of Scientific Experts that is the subject of the next presentation. This survey also explains what is meant by ‘verification’ and outlines the role that verification mechanisms are intended to play in ensuring that international obligations are fulfilled. By way of possible analogy with verifying the destruction of nuclear weapons, we summarize existing verification commitments of relevance including those contained in treaties covering the two other categories of weapons of mass destruction (biological and chemical weapons). The part played by international organisations in promoting states’ adherence to these obligations, and in trying to hold them to account if they fail to do so, is also covered. In addition, this overview identifies a range of initiatives by states, civil society, and academic and other specialist institutions such as VERTIC (also represented on this panel) that can be seen as preparing the ground for future negotiations on verification mechanisms for nuclear disarmament. For instance, we have drawn attention to the United Kingdom-Norway Initiative on dismantlement verification that began in 2007—the pioneering project that brought together a nuclear-weapon state and a non-nuclear-weapon state to collaborate on verification issues. It is significant that Norway and the UK believe that there are no a priori legal barriers, such as NPT obligations, to collaboration between nuclear-weapon states and non-nuclear-weapon states. The paper surveys the verification landscape as a kind of stocktake. It does not, however, delve into technical aspects of verification or what the Stockholm International Peace Research Institute (SIPRI) has characterised as ‘nuclear forensic analysis’. But it does draw on such initiatives, analogies and precedents to highlight key political and legal challenges to be overcome by the international community in order to provide assurance that obligations to remove nuclear weapons from military arsenals can be verified in practice. The paper was published just before Norway tabled a resolution on verification in First Committee, and I would like to commend Norway also for that initiative. It has already attracted an impressive number of co-sponsors. In conclusion, the complexity and nature of political and military sensitivities around nuclear disarmament verification should not be under-estimated. Nevertheless, as surveyed in UNIDIR’s paper, serious efforts are already being made to understand, address and overcome those sensitivities at a practical level. The experience of existing verification organisations will also be a valuable source. Ultimately, however, the effectiveness of mechanisms that verify the elimination of nuclear weapons will depend on the collective will of the international community to achieve a world without nuclear weapons. 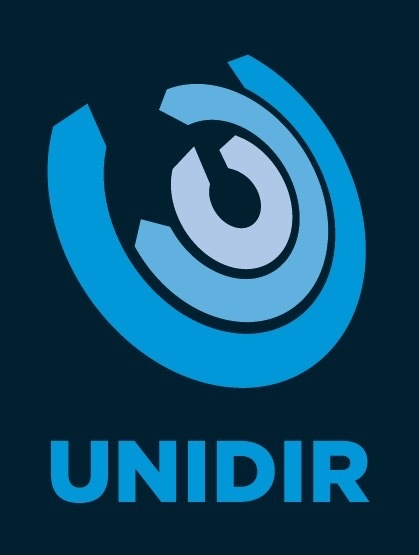 UNIDIR recently published a survey on activities, studies and precedents relevant to a consideration of the mechanisms that will in due course be needed to verify the elimination of nuclear weapons and their components. Attention was drawn to that paper at a side-event organised by Norway during the 71st United Nations General Assembly in New York. UNIDIR’s summary of its contents can be found at in an earlier posting on this site. New Zealand, the funder of the project which produced the publication, also drew attention to the paper at a side-event on ‘Effective Measures for Nuclear Disarmament’ on 17 October 2016. Verification will be among the most crucial measures needed for the effective elimination of nuclear weapons and ultimate maintenance of a world free of nuclear weapons.